I'm back now! If you didn't read in the last post, I was gone because I needed to give my nails a break. My nails are still a little yellow, but I'll deal with it for now. Also, I made myself a lightbox! When I was taking my photos before, I had to either go into my little brother's room (ugh!) or the bathroom. Now I can just do them in my room and at any time. It was pretty simple to do actually and only cost me around $5. The quality of my photos improved immensely, so I'm excited to show you these photos and more to come. 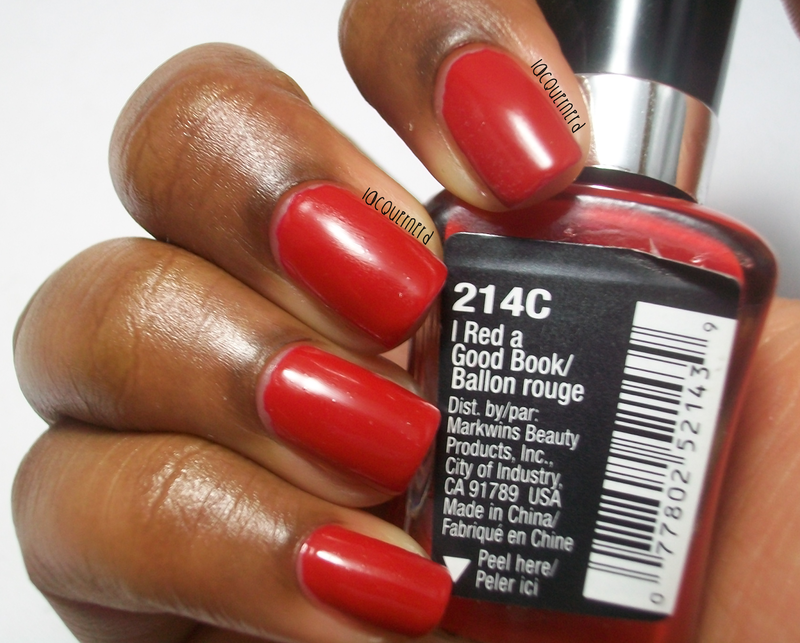 Today's swatch is Wet n Wild's I Red A Good Book. 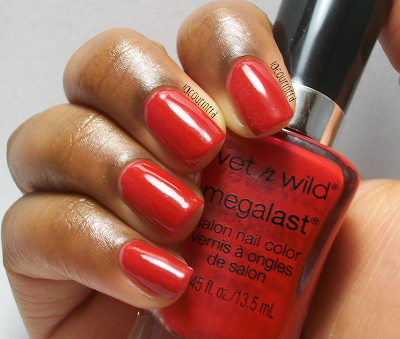 I bought this polish at Rite Aid for $1.99 and it is also part of the Megalast Collection. I Red a Good Book is a classic red creme. This is two coats with a top coat. 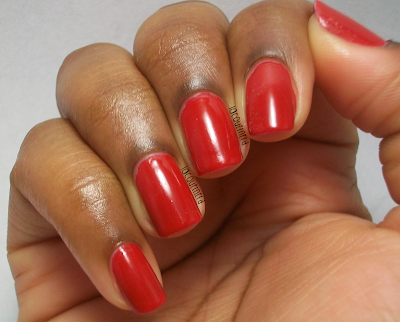 You could get away with one thick coat of this polish, but I decided to do two coats just to be safe. The formula was great to work with. I didn't have any problems with the application too. 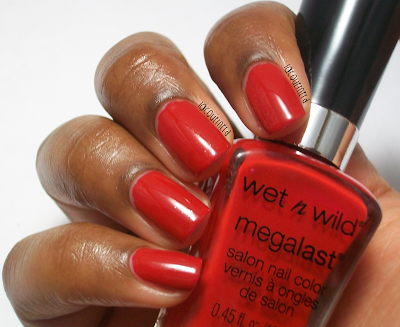 I've mentioned in my previous reviews of the Megalast polishes that the wide brush makes it very easy to apply. The only gripe that I had is that the brush was kind of messed up. A corner of it was missing, but it's nothing too serious. Overall, if you're looking for a classy red, I think this is the polish to go to. This is also a good fall color as well. I think I'll be wearing this polish a lot in the future. It's starting to become one of my favorites already! What do you think of I Red a Good Book? 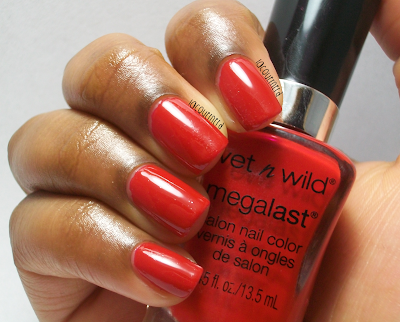 What's your favorite red polish? Congrats on the lightbox, Tyeisha--the pics look amazing! Really loving this shade of red on you too. It's such a classic! I believe its 12x12. Mine is a little smaller than most too. But it really depends on how big you want it though.